Written on January 4, 2012 . Posted in Architecture and Design, Uncategorized, Updates from & for Faculty. 3six0 Architecture–principals Kyna Leski (Professor, Architecture) and Chris Bardt (Professor, Architecture) received a total of eight design awards last year. At the AIAri Annual Design Awards 3six0 was recognized with all five Honor Awards, given for outstanding achievement in architectural design. 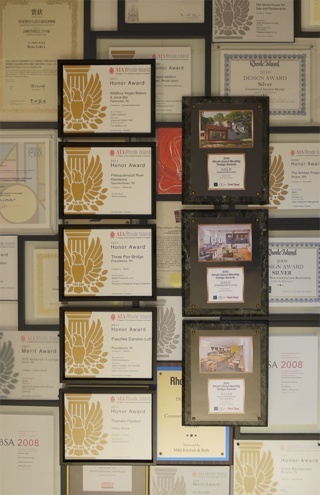 3six0was given two Gold awards and one Silver by Rhode Island Monthly’s Design Awards 2011 . For more details visit the studio’s blog.